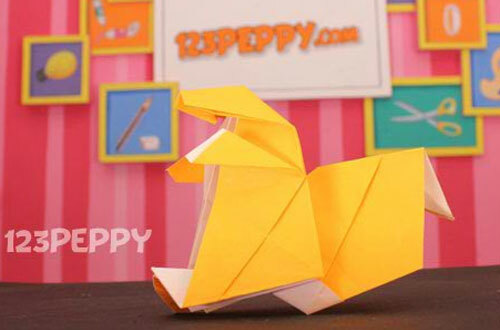 This is a cute simple paper craft idea on how to make an Origami squirrel. Kids will love making this simple squirrel with paper. Easy to make origami craft idea for kids and preteens and all those interested in Origami paper folding art.